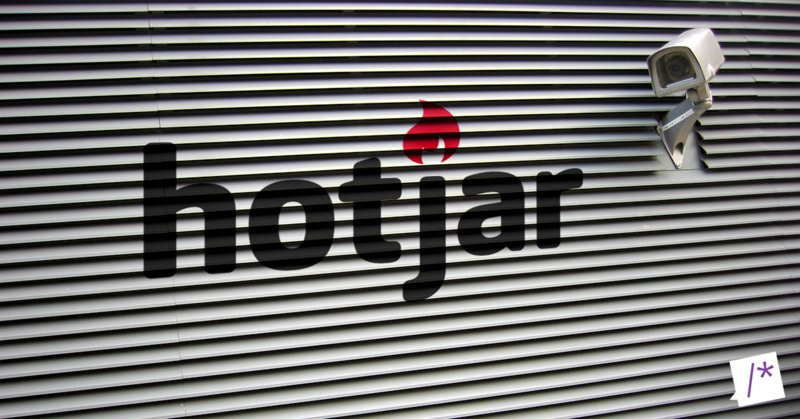 How to use Hotjar recordings without tracking privacy data? When setting up your site in Hotjar, you'll eventually run into a checkbox that says "Record visitor keystroke data on this site". Unchecking this will result in any user input to show up as asterisks in your recording. This is the part you've probably done already. //note: this is a jQuery example, recode to vanilla JS if jQuery is not available on your website. There you go, all of your inputs are now masked in Hotjar recordings. This is the part most people forget. Let's say you have an e-commerce website, and you've meticulously blocked all inputs from showing up in the Hotjar recordings. Some time has passed and you look at a recording. The user types their information in the fields, you only see asterisks, so far so good. The user moves through the funnel, and ends up on the confirmation page, and there it is: all the users information right there on the screen. Crap. With the code above, any selectors you add to the array, will automatically get the attribute needed to block it from Hotjar's recordings. And there you go, your Hotjar recordings are now totally void of any PII. If you listen closely, you can hear the sighs of relief coming from your legal department.